Nowadays it is very comfortable to do shopping online. First you don't have to wait in the line. Second you don't have to go anywhere to buy things. But as the practice shows, even in this case you can meet obstacles. 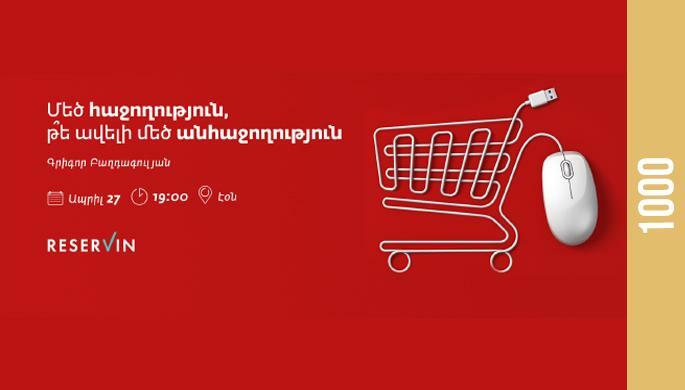 On April 27, Reservin Armenia invites you to e lecture with at AEON with Grigor Baghdagulyan about safe online shopping. Entrance: 1000 AMD (including coffee, tea and snacks).